Wall finishing with rough scoring on exterior; back is uneven with traces of mortar from support or underbedding. Plain, undecorated. Grayish white plaster, medium coarse, with frequent sand and reddish chunks. Cf. KTH230a. 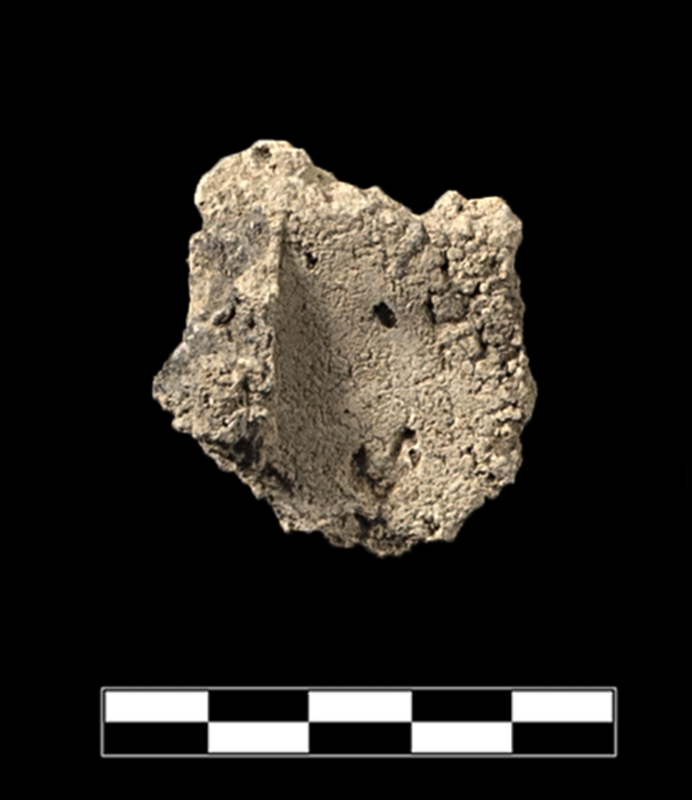 One large fragment plaster preserves one edge (a); 16 small, irregular fragments of plaster and mortar, some stained by rust.